Kneehigh Theatre wanted to showcase 30 years of eclectic, evocative performance with a distinctive book. 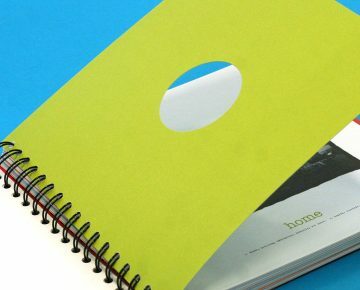 A wire bound book was printed on a range of specialist stocks, coloured, transparent, gloss, coated and uncoated, all of differing weight and thickness. Some pages were printed in black and white, others in full colour. The book was finished with a variety of techniques including dye cutting and foil blocking before binding the book together in tabbed sections. The sheer complexity and intricacy of the project required accuracy, precision and attention to detail. 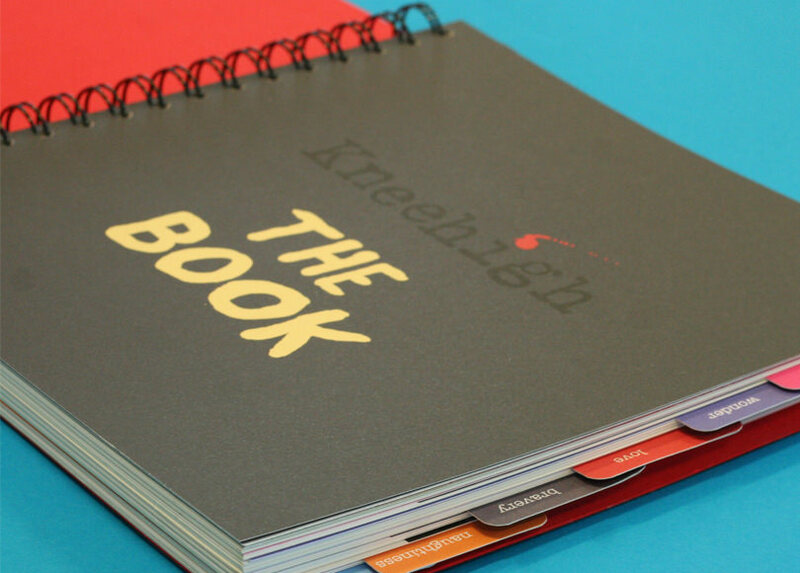 The book was split for printing and printed on five different paper stocks. Pages were grouped depending on the paper and whether printing is in black and white or full colour. Finishing was then really important as pages were re-grouped and assembled depending on the techniques, such as foil blocking and dye cutting. The only way to pull together such a sophisticated piece of print was for us to hold detailed face to face meetings with the designer. By working through his concept methodically, breaking it down, grasping all the different elements we got an understanding of the project from the designer’s point of view and translating that into print production. Our team defined the process, breaking down each step operationally to successfully complete the project and realise the designer’s vision in print. Working with SAPC made this ambitious project come to reality. Kneehigh had a very clear idea of how the finished article should look and feel. Through paper samples, lots of talking and a sympathetic procurement process, Kneehigh’s 30 year celebratory collector’s item turned out to be a thing of real beauty and wonder. Anna Mansell.